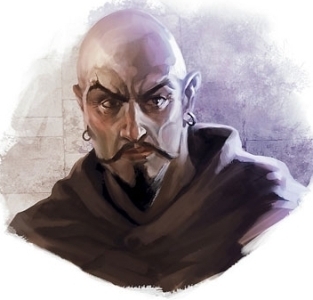 Little is known about this mage in Little Barovia. Over a year ago he encouraged some villagers to take up arms against Strahd . He lost, and he and the villagers died. Those in Little Barovia think he died. Some think his ghost, now insane, is wandering the countryside, mad and bereft of sense. In Vallaki, meanwhile, no one thinks he is dead. Occasional sightings of him have been seen all around Lake Zarovich and Mount Baratok.